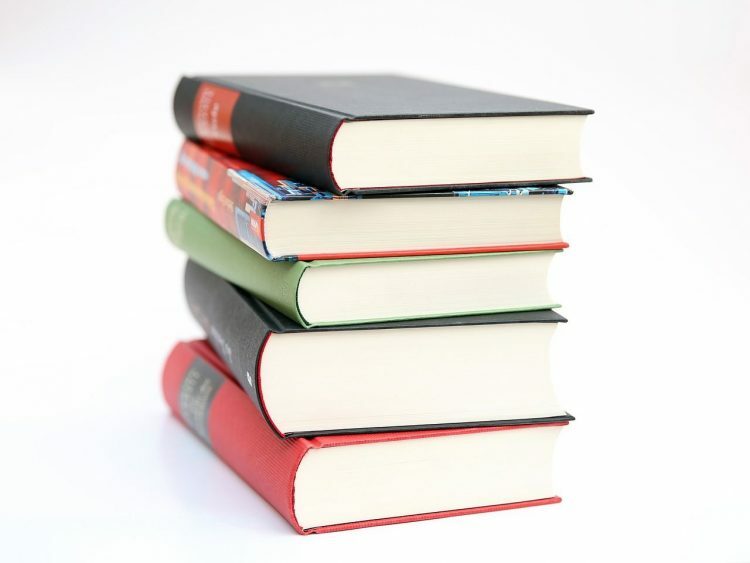 Many children and adults alike know very little about the authors of the books they read. On the back or the cover of a book there might be a picture of the author and a short paragraph about that author, but usually not much else. What if we help our students to really getting to know the authors of the books they read? What is life like for this writer or what would it have been like? 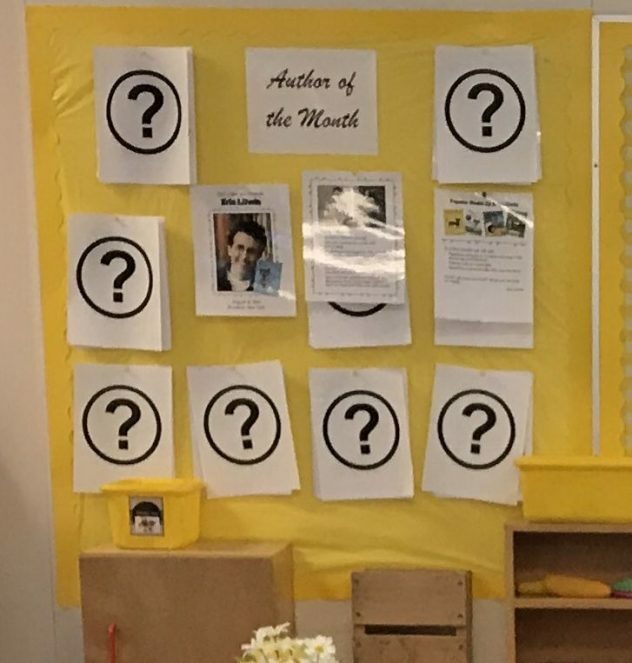 I have started a program called “Author of the Month” to help connect students with the emotions–the stories–of the authors they are reading. 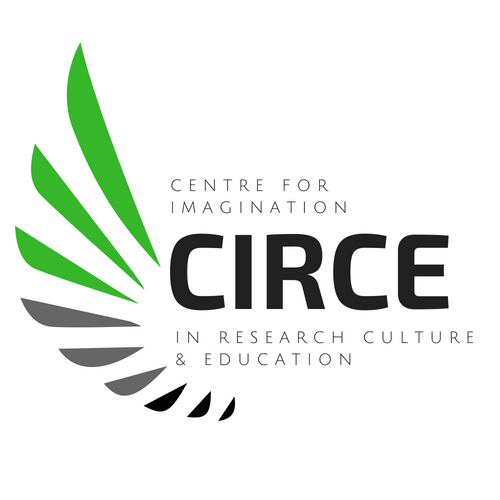 (This program engages imagination with the Humanization of Meaning cognitive tool). I wish I could say that I came up with this idea all on my own, but it is the fantastic work of other colleagues in Maple Ridge, B.C. I have used their idea to spark passion and excitement over “who” has written books. We have discussions about the age of the author, the books they have written, or what the author looks like. This idea could be modified to suit Grades K-12–there are so many things to find out about authors (e.g. interesting facts and biographical information about authors, examples of their successes and failures etc.). Authors become celebrities in my classroom! They are like superstars! What happens is that my students realize that they, too, can write a book just like their favourite author. It is motivating for them to realize this. In my class, I have a bulletin board with a selected author for each month. Each author has a piece of paper that has a question mark covering who it is. This creates a Sense of Mystery (another cognitive tool Imaginative Educators should use often!). Students often try to peek at the author, but I encourage them to wait. Once I reveal a hint about the author, the class and I make predictions of what the author might look like. My students love searching for the author’s website, looking at the photos, and learning more about that person. One of the most popular authors amongst boys is Dav Pilkey. The students love his books because they are hilarious. 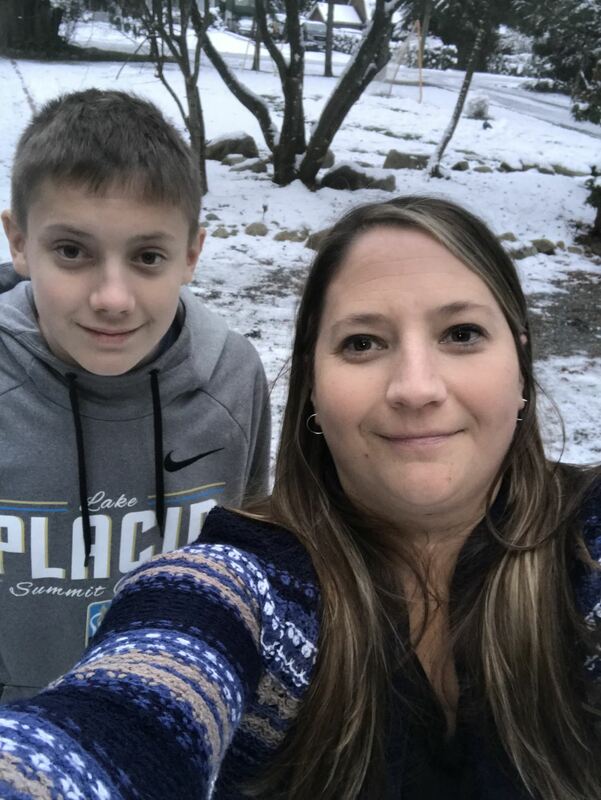 They connect with his books on a personal level because as they learn more about him, they find out he had to work hard as a student and often made mistakes. My sons met Dav Pilkey at a book signing event in Vancouver, B.C. They loved and enjoyed meeting him, buying his new book, posing for a photo, and asking him a question. I have met Gillian Judson–creator of this blog. She is an author of a series of books on Imaginative Education and Imaginative Ecological Education. She could be featured amongst teachers, professors and parents. (There are many ways to apply this idea.). 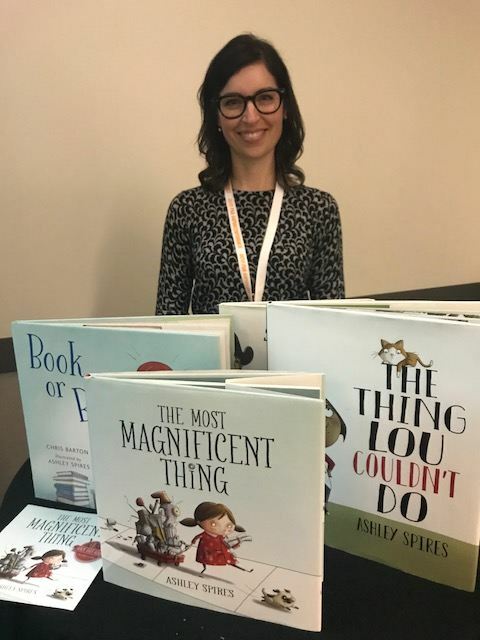 I met and took this photo of Ashley Spires at the Super Teacher Conference 2017 and I told her it was going up on the bulletin board. So I have now met three authors and have many more to meet! Well, four if you count using Google Hangouts with Dave Burgess as a “meeting”! Who would you love to meet? Great ideas for engaging learners, Jocelyn, and ImaginEd! THANK YOU! I am going to do something like this in my online Education courses and workshops. Although my courses are for adults, I find everyone loves the background stories of the authors, educators, and researchers who have shaped and developed our “field”. We do find meaning for our work in their stories. I often imagine meeting the authors and educators who have shaped my work and teaching, too. And am able to imagine, “discuss”, and develop concepts and ideas with them “in my head” (that is, my Imagination). Some of my best ideas come from these “talks” :-). Thank you, and I hope you continue to develop this activity, and that some of your students meet their authors – either in person or via a virtual meeting in Skype or other media. Hi Jill. Thanks for your comment. Absolutely modify to suit adults! You might also look into the Living Librairies movement. Oh the Living Libraries! I’ll have to look into that. Thanks Jill for your comments! What kinds of courses do you teach online?